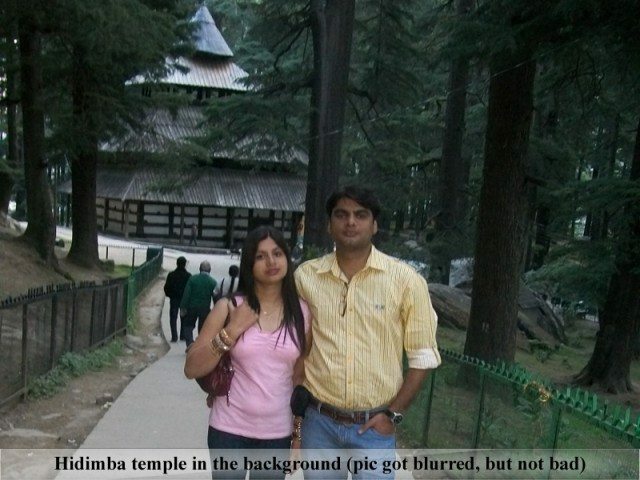 Shimla, Manali & Rohtang Pass – Part 2 - Ghumakkar - Inspiring travel experiences. 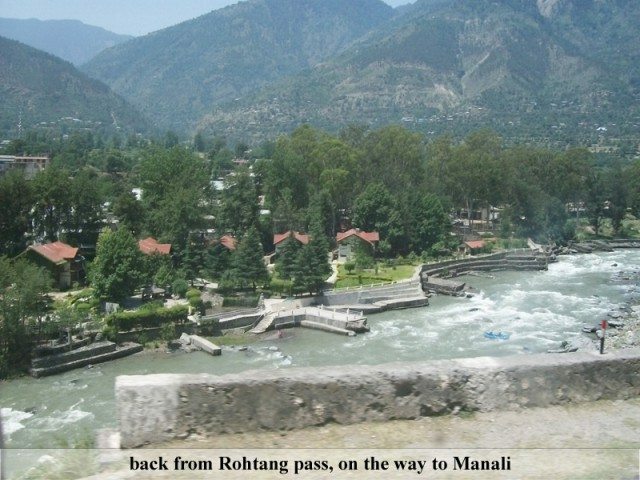 In my previous post, I wrote about Pinjore garden, Kufri, Manali hills, Naggar village and Solang Nala Valley. On 4rth day after coming back from Solang Nala valley, we took some rest for few minutes in our hotel room, then we hired an auto for Manali’s Mall road, which I found better than the Shimla’s one. We spent our whole evening there, ate chat and Pani-puri, bought some clothes with a pair of reebok shoes for my wife, sat for sometime on road-side seats. 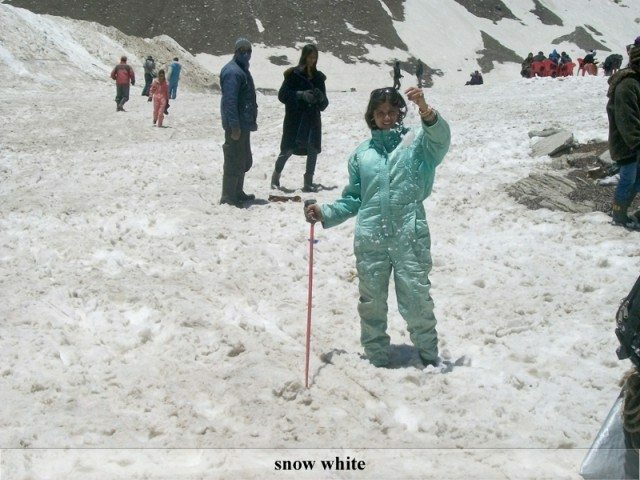 We had good time there, then left for hotel, as next day was planned for Rohtang pass. Day 5: We started our day early morning, as we had a long way to go. We hired a Tata Sumo and first visited at Hidimba devi temple. 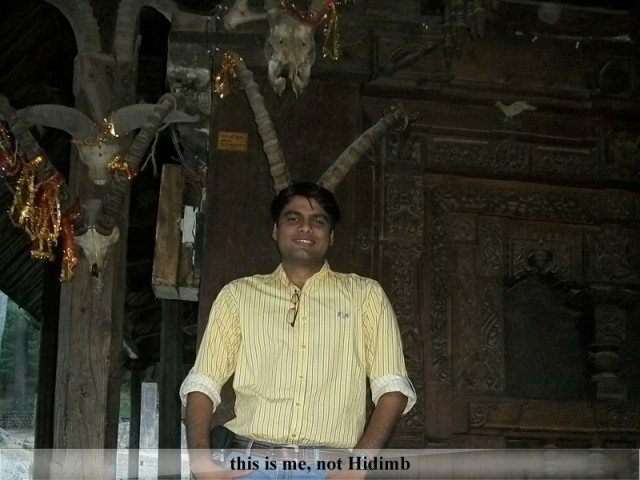 The Hidimba Devi Temple has carved wooden doors and a 24 meters tall wooden top or tower above the sanctuary. The tower consists of three square roofs covered with timber tiles and a fourth brass cone-shaped roof at the top. It is said that Pāndavas stayed here during their exile, and a powerful demon named Hidimb, attacked them, and killed by Bhima, then Bhima and Hidimb’s sister, Hidimba got married and had a son, Ghatotkacha. When Bhima and his brothers returned from exile, Hidimba didn’t come with them, instead stayed back and did penance. This temple is dedicated to her. The environment was very pleasant there, so were the views. 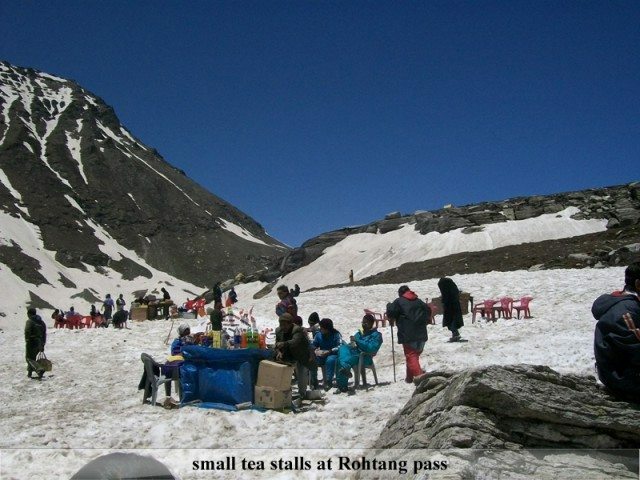 After spending some time there we moved to Rohtang pass. 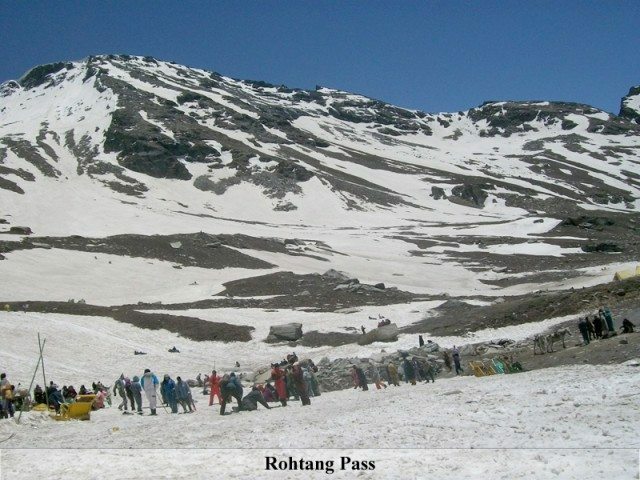 Rohtang Pass having altitude 3,978 m, is a high mountain pass on the eastern Pir Panjal Range of the Himalayas about 51 km from Manali. It connects the Kullu Valley with the Lahaul and Spiti Valleys. From Manali to Keylong/Leh, it offers a panoramic and spectacular mountain view. The pass is open and best visitable from May to October. It is a gateway to Lahaul Spiti, Pangi and Leh valley. There are a beautiful glaciers, peaks and river flows down in the valley. 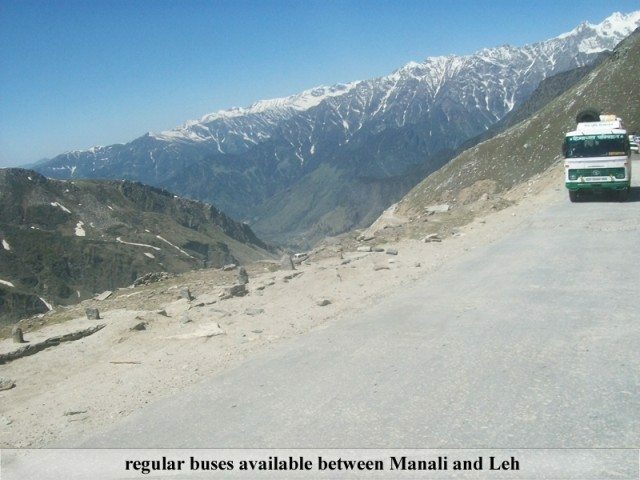 When its open, regular buses available between Manali and Leh. 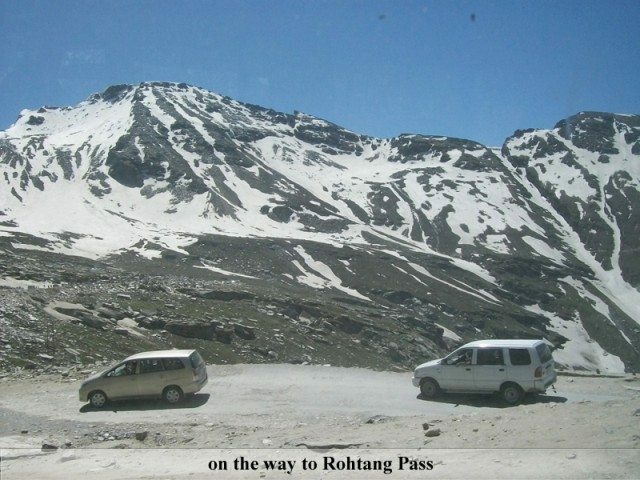 For latest information about opening of Rohtang Pass, contact tourist information centre at Manali, Ph: +91-1902-252175; 253531. You can find small tea stalls serving maggie, tea, biscuits, chips and other light snacks, there. 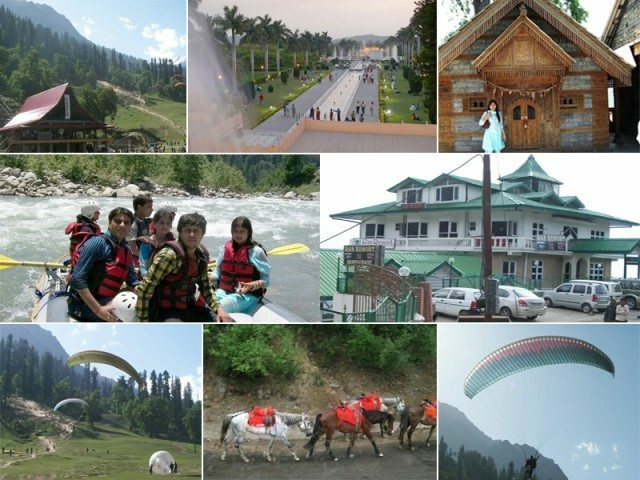 There are also some adventure sports facilities available like paragliding and skiing. We rented gloves, snow-shoes and long thick jackets on our way for snow sports. We had great fun there, ate maggie and corns, hit each other with snow balls, and slided on snow slopes. There was a big crowd of people from the length and breadth of country, having pleasant time. A few hours, we spent there, will always remain with us as sweet memories. We reached hotel by evening, so we had enough time to get back to Mall road again. We spent one more evening there, ate great food, had fun. Next was the day for saying good bye to hills, as we had to left, but Chandigarh and Kurukshetra were yet to be visited. 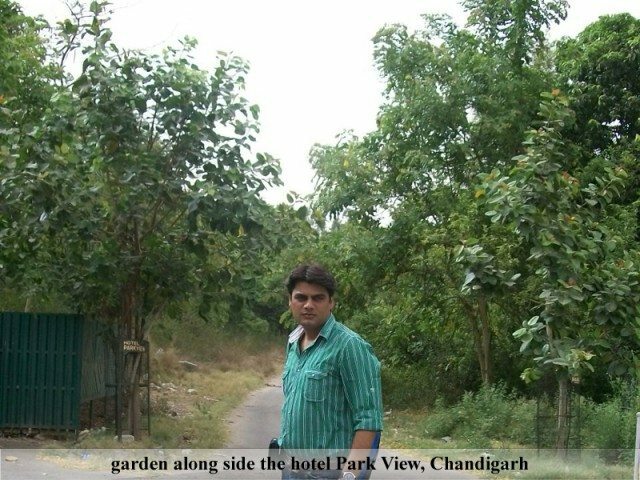 Day 6: Whole day we spent in bus to reach Chandigarh, where we reached by evening, and checked in at Hotel Parkview. At 10 PM I dicided to find some good restraunts over there, and we were lucky to have a great one. We had the best food of our whole trip. Day 7: In the morning after having light breakfast, we left hotel and reached famous Rose Garden. Rose Garden spread over 30 acres of land, with 50,000 rose-bushes of 1600 different species. Its a beautiful garden serves as the venue for hosting the annual Festival of Gardens, a major cultural event of the city during the month of March. We didn’t have much time to spent there, so we took some photographs and moved on. After Rose garden we chose Rock Garden to see. 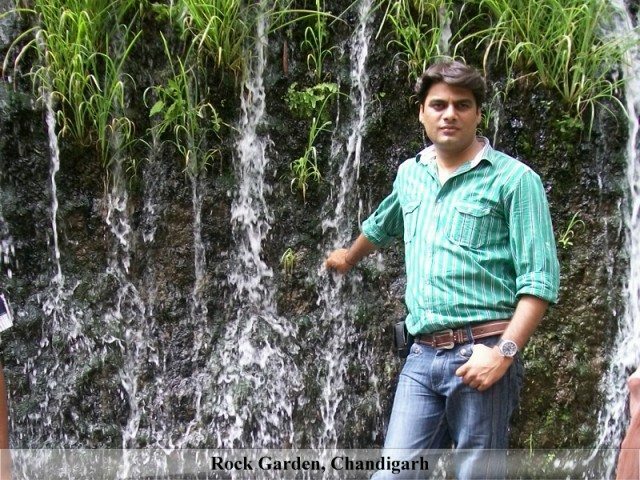 Rock garden in Chandigarh, is a unique place in itself. It is spread over an area of 40 acres, and is completely built of industrial & home waste and thrown-away items. 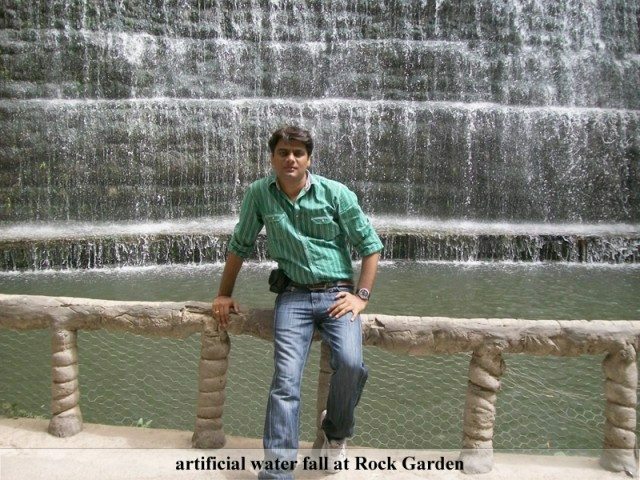 It is situated near Sukhna Lake, consists of man-made interlinked waterfalls and many other sculptures that have been made of scrap & other kinds of wastes like bottles, glasses, bangles, tiles, ceramic pots, sinks, electrical waste, etc, which are placed in walled paths. There were also some aquariums having multiple varieties of fishes. We took a round of garden, had some photos, ate some snacks. We especially loved the artificial waterfalls there. Sukhna Lake was the final destination of ours in Chandigarh. Its an artificial 3 km² rainfed lake, was created in 1958 by damming the Sukhna Choe, a seasonal stream coming down from the Shivalik Hills. Sukhna is a sanctuary for many exotic migratory birds like the Siberian duck, Storks and Cranes, during the winter months. The lake has been declared as a protected national wetland by the Government of India. It has a membership-based Lake Club with lawns, a gym, indoor games, swimming pool and tennis courts with both synthetic and grass courts. Boating, rowing, sculling, sailing, kayaking and water skiing can be enjoyed throughout the year. There I also came to know that the Chandigarh administration has taken a decision not to allow fishes more than 30 cm in size in the Sukhna Lake. Sorry I couldn’t take photo there, as my camera got discharge. Also at that time wind was blowing so hard, that we couldn’t take good photographs, or wind would make them blurry. Well next to Sukhna lake we stopped in Kurukshetra for some times at ﻿Bhram Sarovar and nearby temple. At last, all I can say is that, those 7 days will always be remain with me in my memories, photographs and now at Ghumakkar.com. Happy Ghumakkari. ???? ????? ?? ???????? ?? ??? ??? Sandeep Bhai , Bilkul sahi kaha asli nazaare to sach mein rohtang ke baad hi hai.. ??????? ?? ??? ???? ?? ???? ??? ???? ??????? ??? ??! ??? ????? ??? ???? ??????? ???? ?? ???! ?? ?????? ?? ???? ???? ??! ????? ??? ???? ?, ??????? ?? ??? ????????! Thanks Sahil, I am glad that you like it. but now it looks completely different and shockingly beautiful. seems to be inviting us . Thanks Ashok, it has been 20 years since then, thats why changes are there. Vaise bhi Parivartan to Prakriti ka niyam hai. You should visit there soon. 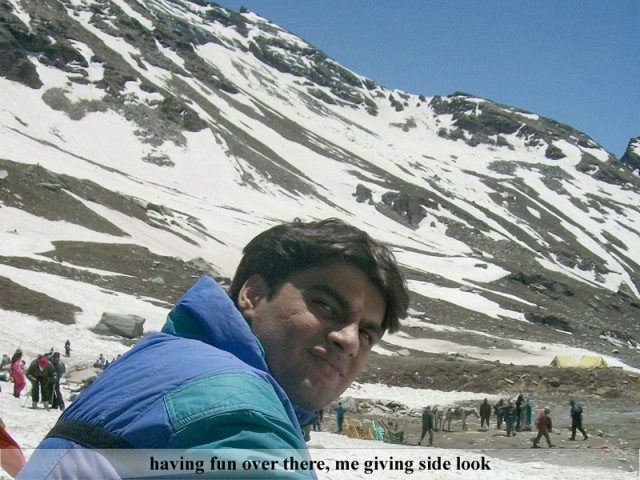 Both the posts are very nice complemented with great photographs Vinay…. 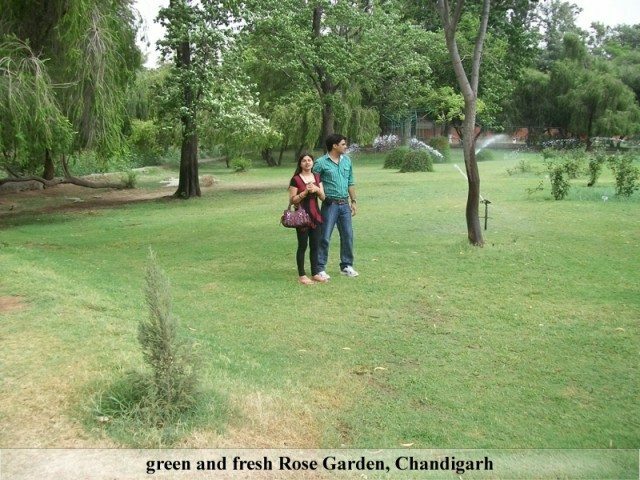 You said absolutely right about Chandigarh. It was my second visit there. Its so well designed and maintained city, really a dream place to live. We are two couples right now. 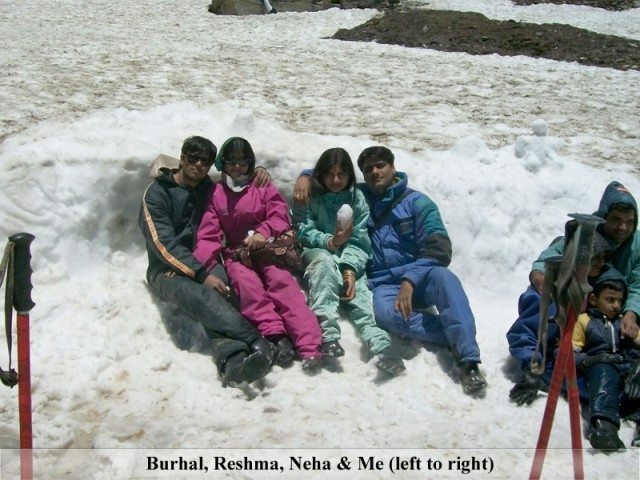 we need package for manali and rohtang pass for 4 or 5 days which includes rafting, paragliding, etc. 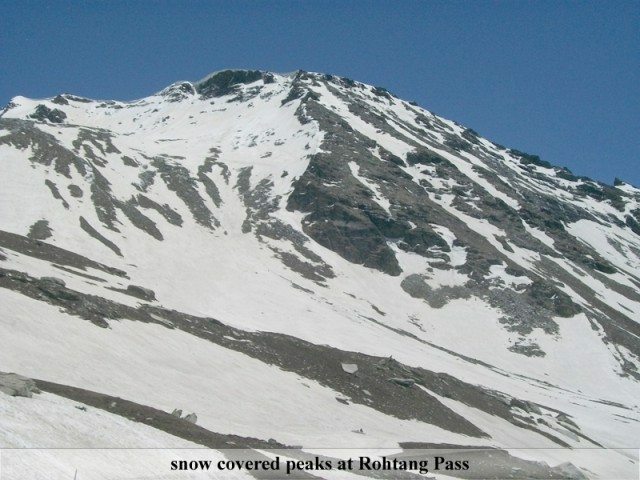 Rohtang pass view etc. please let me know. How to go there. I like ur All tour location. I planned my trip with Southern Travels. But according to my experience, I would suggest to not have package, as a trip should not not be pre-planned. 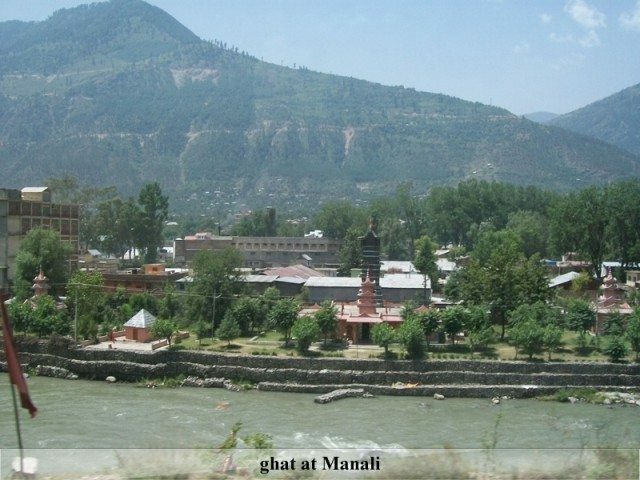 If you are planning for Manali, first book the hotel rooms, and then the transport – buses are good option for Manali. There you can hire alto car (easilty available by hotels) for local site seeing. Eating at Manali’s Mall road is the best option.